Its Easter break here in the UK. Two weeks off, yaaaay! This means I can happily spend my days dressing up for no reason what so ever. Now, in the interest of anonymity, I have, rather amusingly, cropped my head off. The pictures, that is. It is a pleasant enough day, if slightly windy. But I was woken up rudely and abruptly by the parentals (yes I know it’s a cool word), so I decide to reflect my tiresomeness in my outfit, with different shades of grey. So I have gone with comfortable, somewhat skinny jeans, a dark grey vest top, a grey tailored boyfriend blazer, shimmery grey cut out patent flats and a vintage short mix bead necklace in spring pastels. No makeup and hair was blowdried and moussed for a wavy-ish dishevelled look. Also, take note on my marvellous posh-totty-polo-playing pose. Y’know because of the hands, and the blazer and…oh forget it. Go back a few days, and it’s your typical English weather. It’s cold, it’s windy and rain is more than likely on the way. I don’t want to do anything today, except for catch up on Desperate Housewives of course (I know I’ve stooped to this level, but if you haven’t seen it you must, a definite guilty pleasure!) and so I wear a lazy day vintage grey wool cardigan (AGAIN WITH THE GREY!? ), my comfortable, somewhat skinny jeans (okay, so I wear the same clothes days at a time, you caught me), and just for a Gene Kelly style walk (dance) in the (soon to come) rain, I put on some Michael Kors black patent heels. 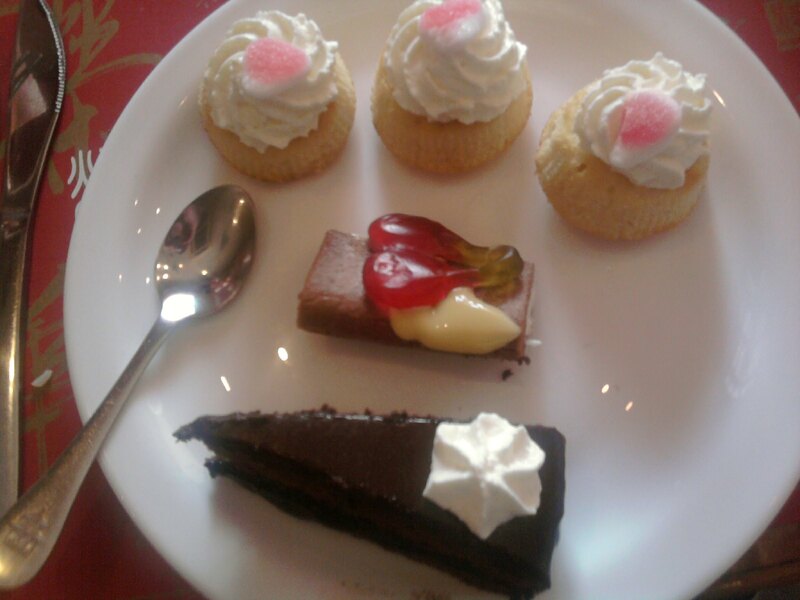 Also, I had a lovely lunch today (blazer and all) at Wing-Wai, a chinese buffet-type restaurant. 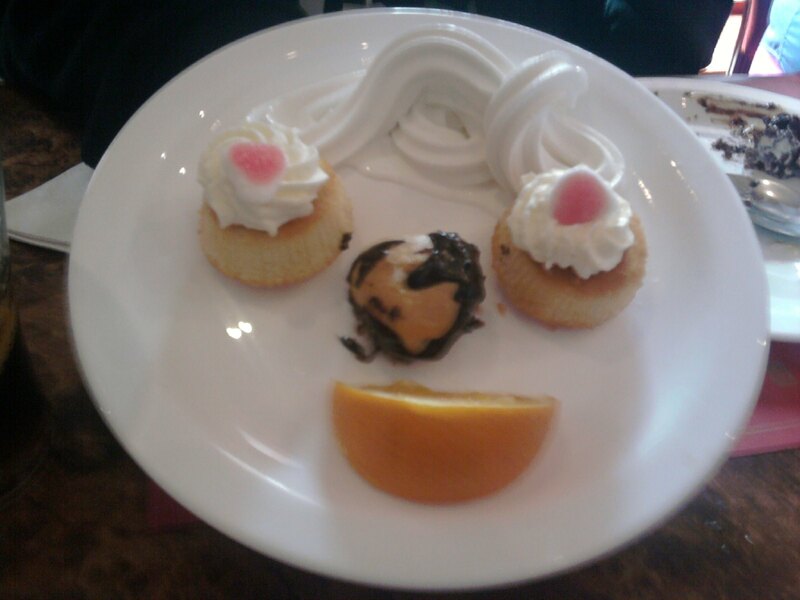 They served delightful little home-made desserts and, being the immature child I am, I made smiley faces out of them! It’s so much fun playing with your food I tell you. So this one had three eyes. A close up of the three eyes. And this just might be my masterpiece. 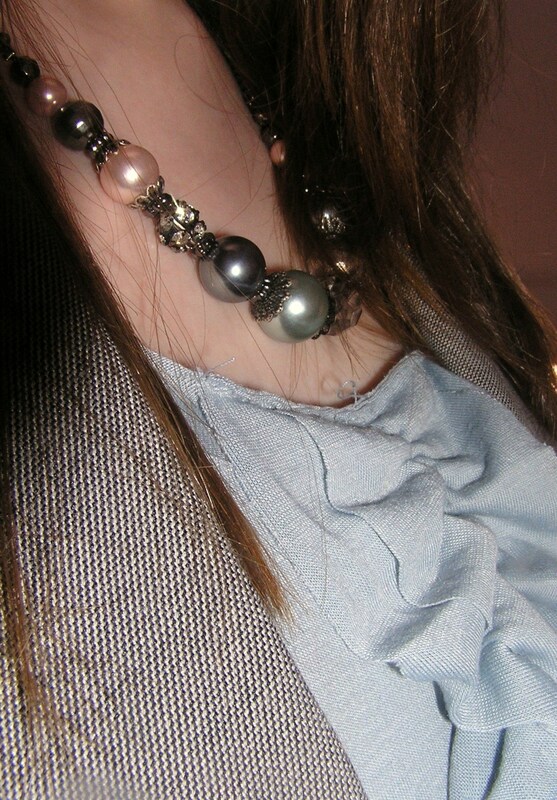 This entry was posted in Completely UnFashionable, Edits, Food & Drink, What I Wore and tagged fashion, food, grey, WIW. Bookmark the permalink. Being on your website a couple of times but the first time i have left a comment, It is a fantastic site, everything a fashion diva could want. 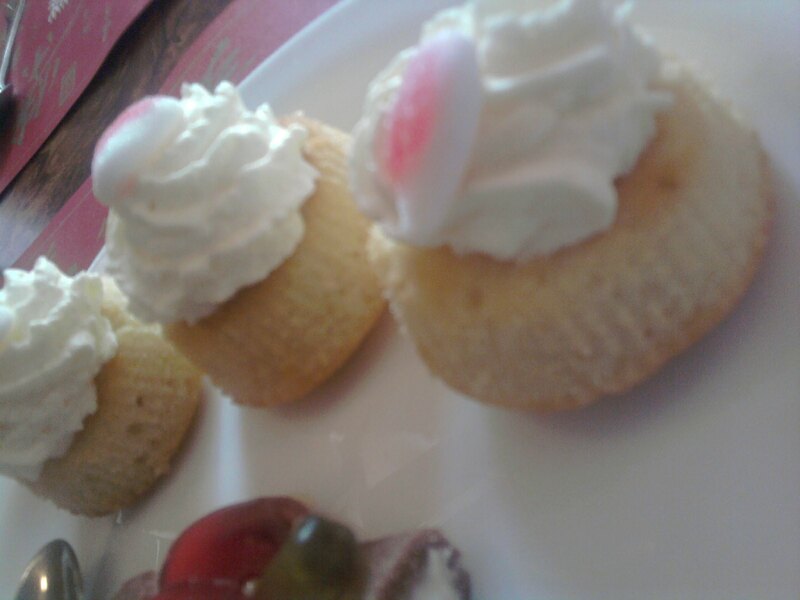 Your not the only one who likes playing with your food, thats what puddings are made for. Carry on the good work. Pingback: 10 Things I Love Sunday « fashiongirl.